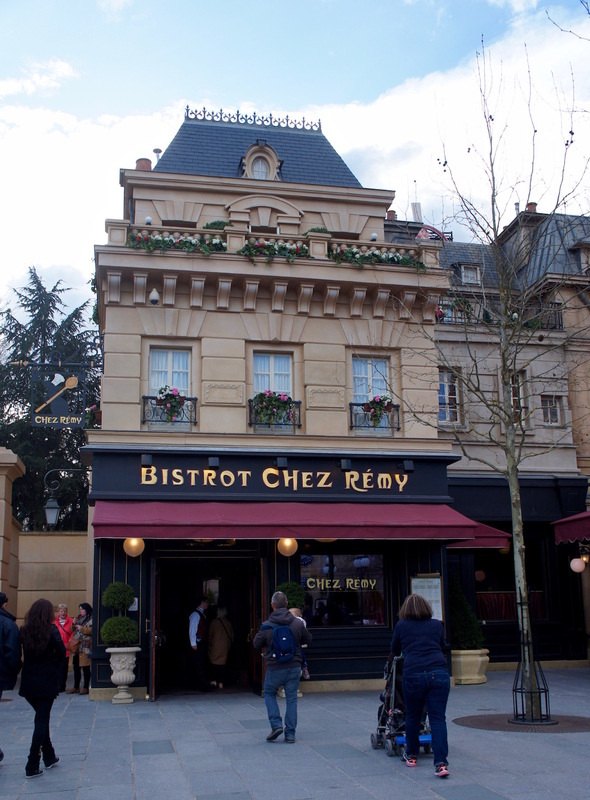 One of my absolute favourite things that we did in Disneyland Paris, was dine at Bistrot Chez Rémy and when you plan your trip you must promise me you’ll go! 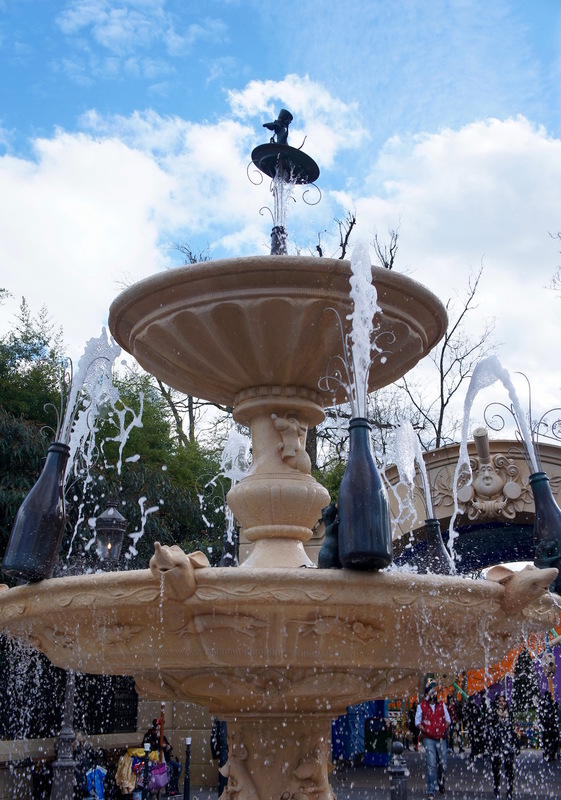 The section where Rémy’s is located was a totally new area for us, it was only beginning to be built the last time we’d visited DLP. 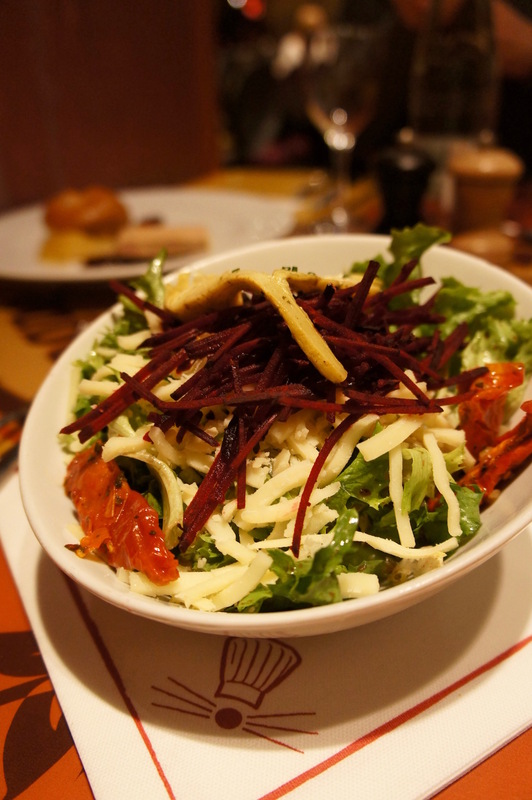 Top tip, do the ride BEFORE you eat – tis a little spinny! First things first, book in advance! 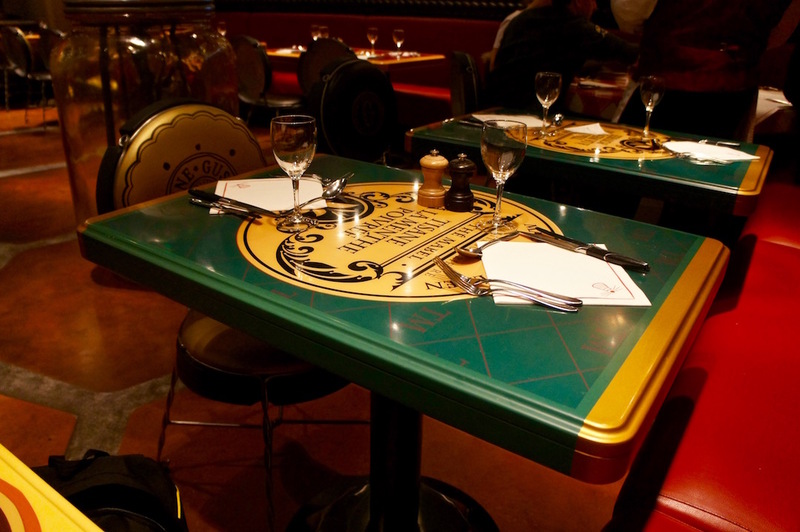 I rang two months before our trip to book a table and they only had a few reservations left per day! You simply will not get a table otherwise and we were there off-peak – can you imagine if you were looking for a table during the Summer months when it’s at its busiest?! 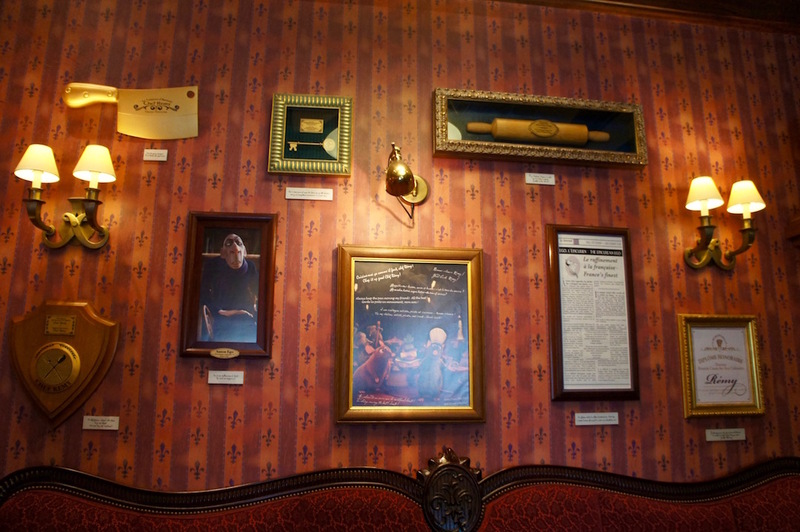 It’s a good idea to pop in a few mins early to have a look at all of Rémy’s memorabilia and accolades – there are quite a few! In a flash, it was time for us to be brought through to the restaurant itself. 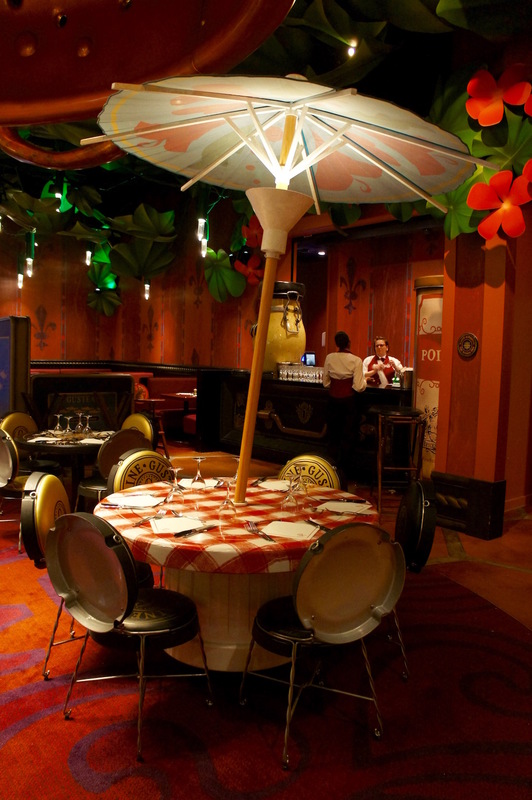 Instantly you’re the size of Rémy, the chairs are made from Champagne tops, the tables are jam jar lids with umbrellas – cocktail paper umbrellas to be exact! 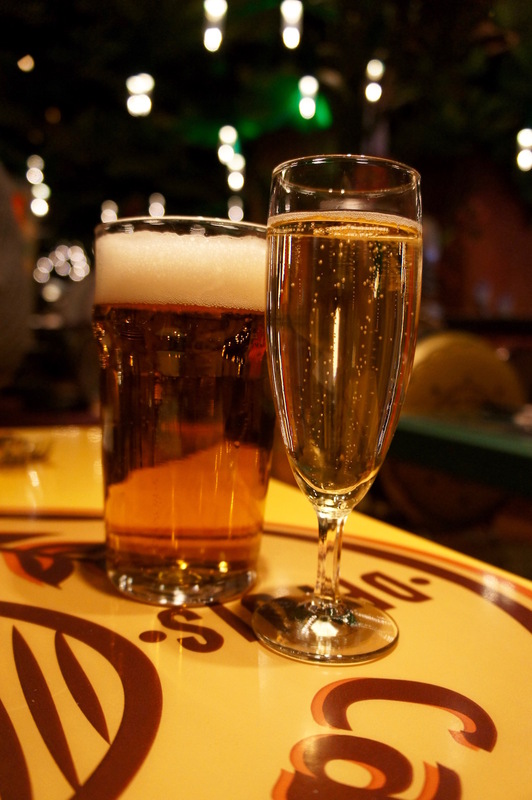 One last thing before we dive into the food, you must remember to get a snap with Auguste Gusteau…well, his book anyway, whilst perched atop a champagne cork no less! 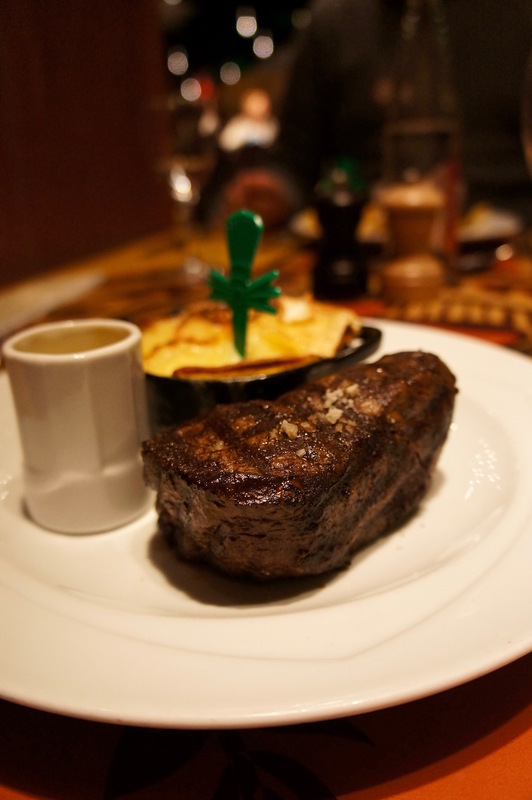 Now, the food – literally wow. It was bliss, but in all fairness, any meal that starts with fresh, warm, knock-me-down-with-a-feather-good French bread, is always a winner in my book! He didn’t have to tell us twice! We decided to go for two different menus so we would get six different dishes to share and thereby getting to try – almost – everything. Himself went for the “Emile Menu” and I went for “Menu Gusteau“. 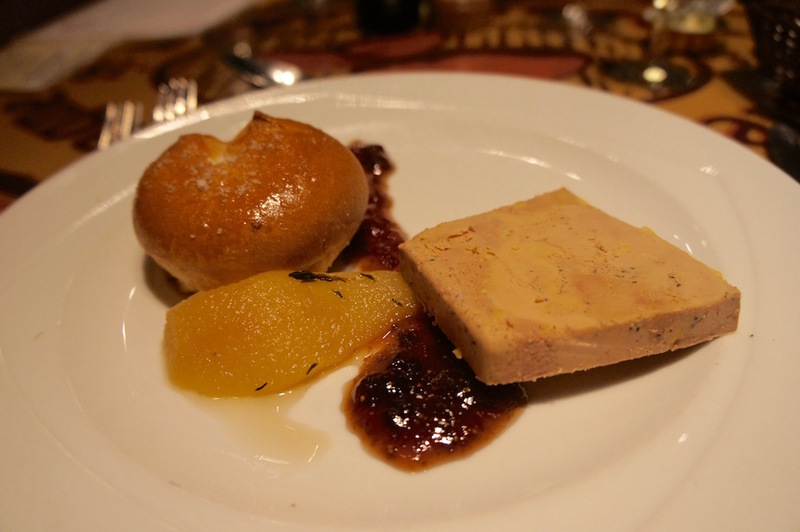 For starters, I had Duck Foie Gras, violet fig jam and savoury brioche. Not much to look at on the plate, but nom, actually NOM, we both thoroughly enjoyed it and I particularly loved the figgy jam – omnom! Once you sliced through the paper thin courgette slices, tiny cubes of veg came tumbling out into roasting hot tomato sauce – delicious. Both dishes really were utterly divine, positively moreish and not a morsel was left behind. 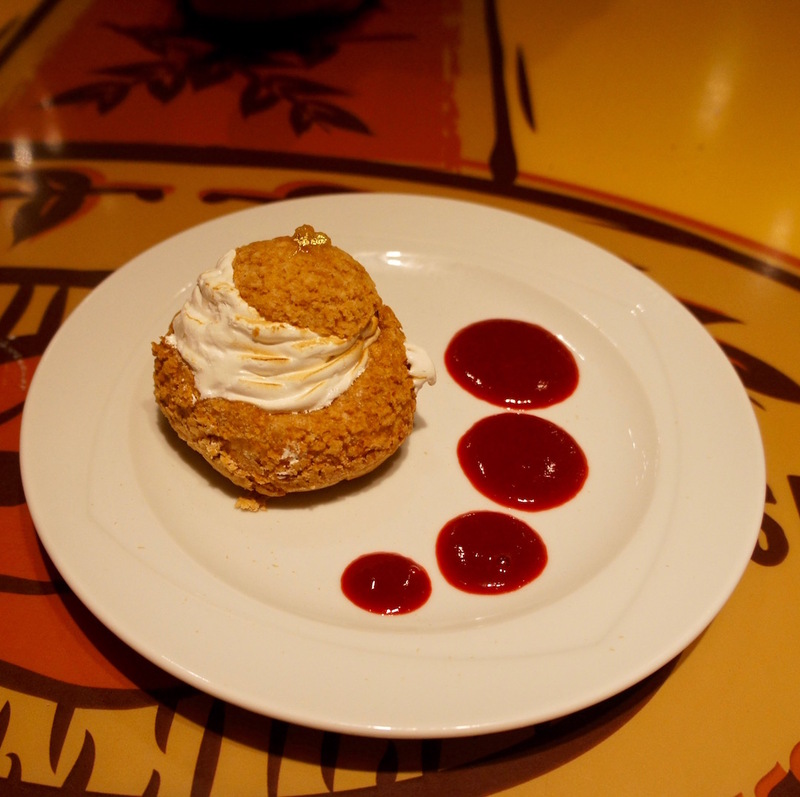 and “Gusteau’s Dessert” for Himself, which neither of us can reallly remember properly, but I think it was like, a profiterole with soft lemon meringue piped inside, lightly scorched and decorated with gold leaf – it’s definitely what it looks like anyway!! 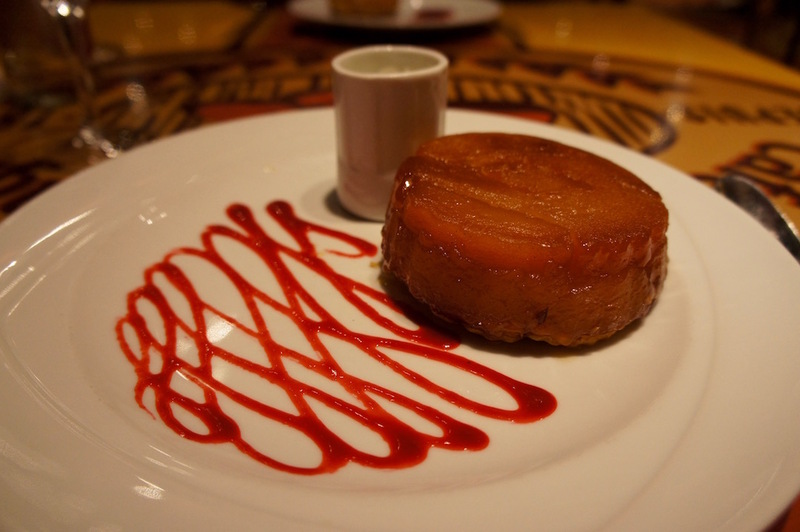 It doesn’t really matter, what matters is that both desserts were so good it was actually silly – and I can’t think of a higher compliment than that! 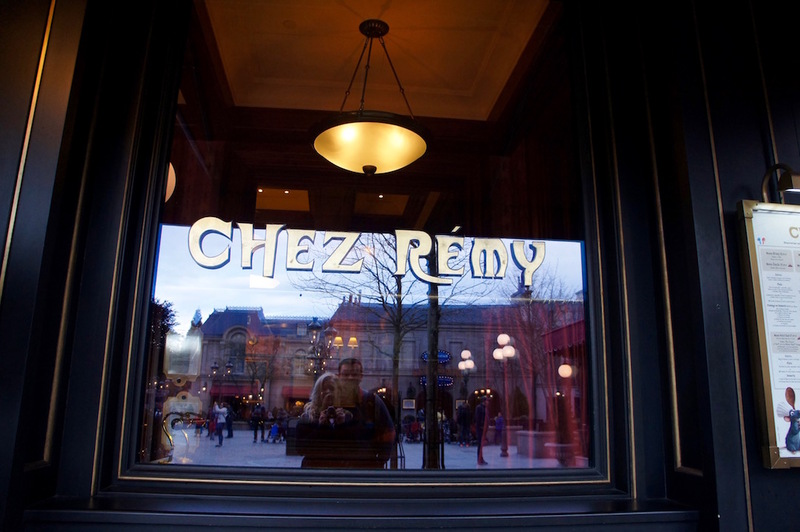 We love splashing out on one super fancy meal when we’re in Disney, like when we visited Cinderella’s Royal Table at Walt Disney World, so Chez Reémy’s was our equivalent in Paris and it was a real joy and very much worth the monies. So go, go, go!! 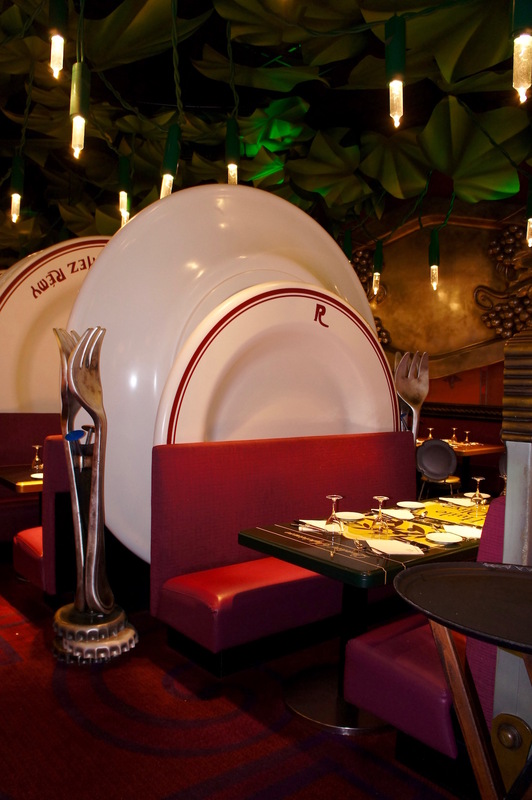 What a fun dining experience! 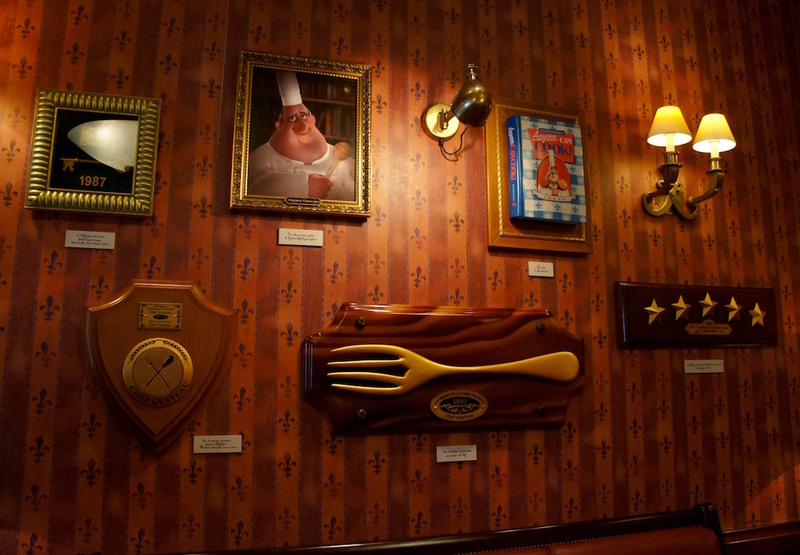 I love that it’s modeled after Ratatouille- that’s such a cute movie! it looks so beautiful. There is so many precious gems in Paris. I’ve been there so many times and I never get tired of discovering something new. 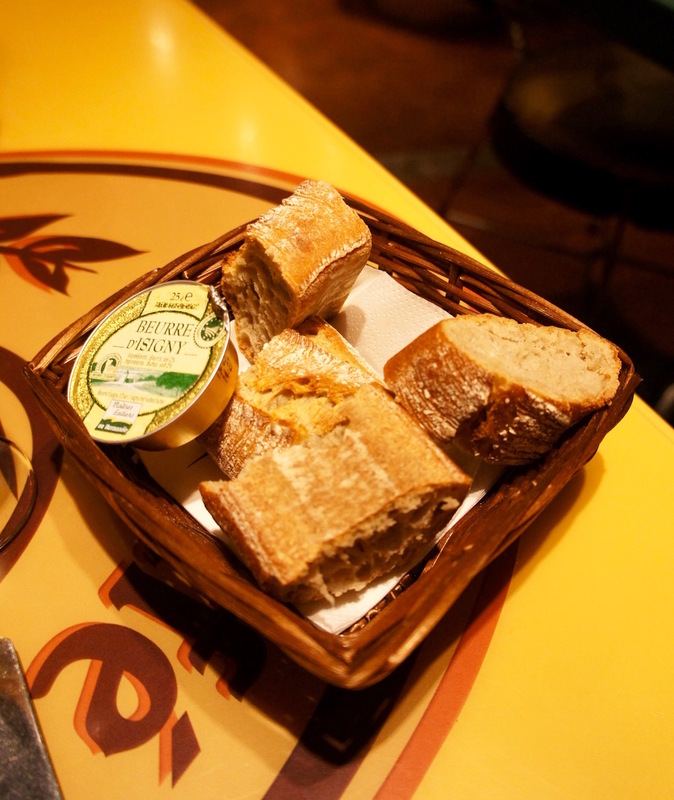 It was wonderful and is definitely one you should add to your list the next time you go to Paris. These travel photos have me daydreaming about my next trip! Thanks so much for sharing, girl. 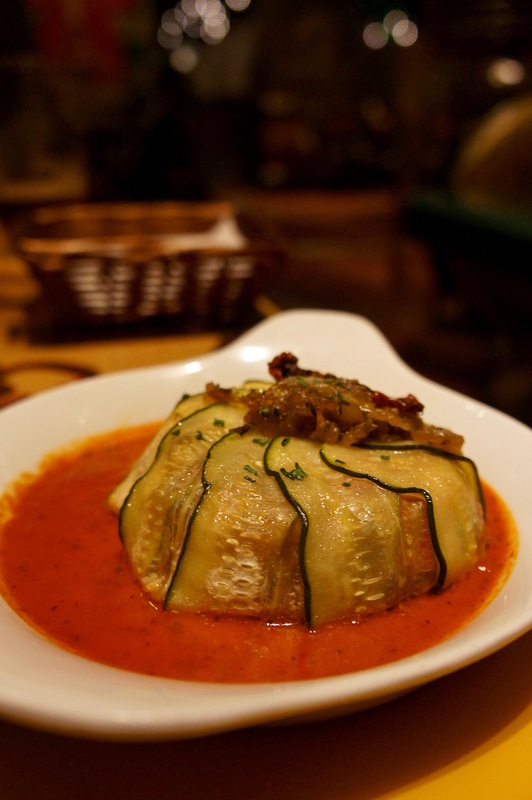 When I saw the title of this post I didn’t realize it was going to be Ratatouille-themed…I LOVE that movie! The restaurant looks so cute and fun! 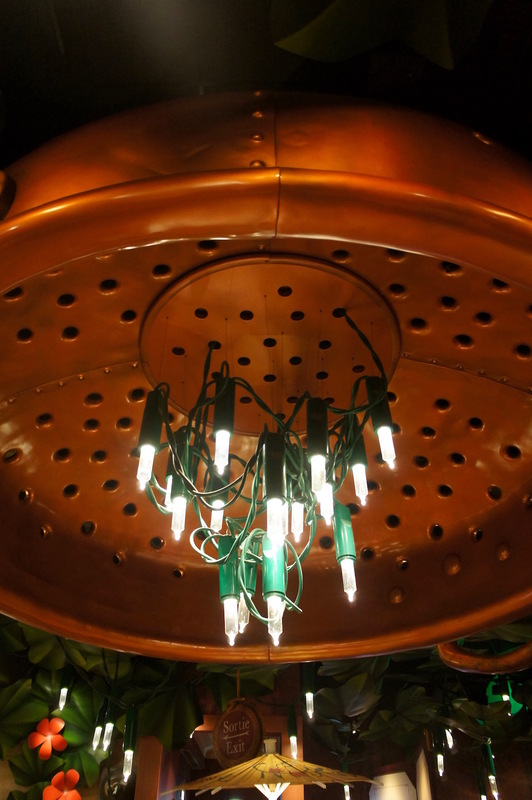 Love the decorations. 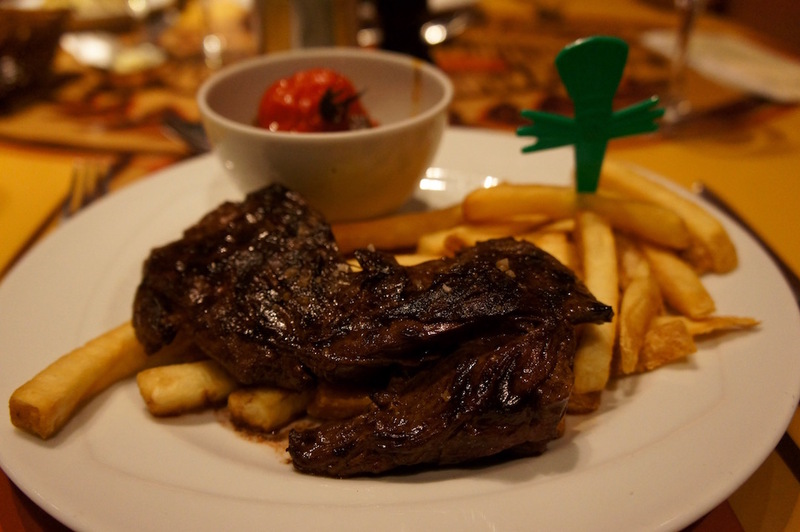 Also, that’s wonderful that the food and service were also good because I feel like many times when you go to a touristy, themed restaurant the food is often lacking. Great post! 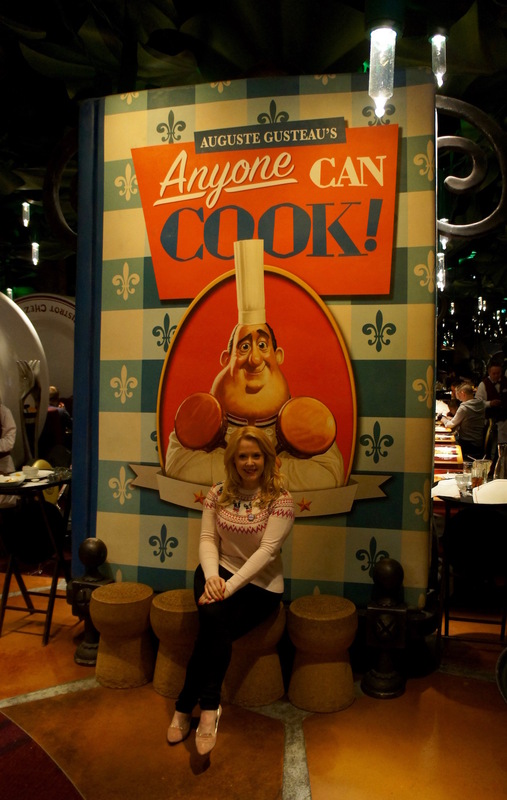 So true Colleen, but Disney are masters at taking “touristy” and making it special and they did it again with the (relatively new) Ratatouille area at DLP, we had such fun, both on the ride and at the restaurant! Thanks a mill! Such cute pics, I love Disneyland !